As you might notice from my past few posts, I have been really into Creativebug these days. Maybe I'll go into detail about it in a future post, but for now just know it's a creative space that is inspiring me. 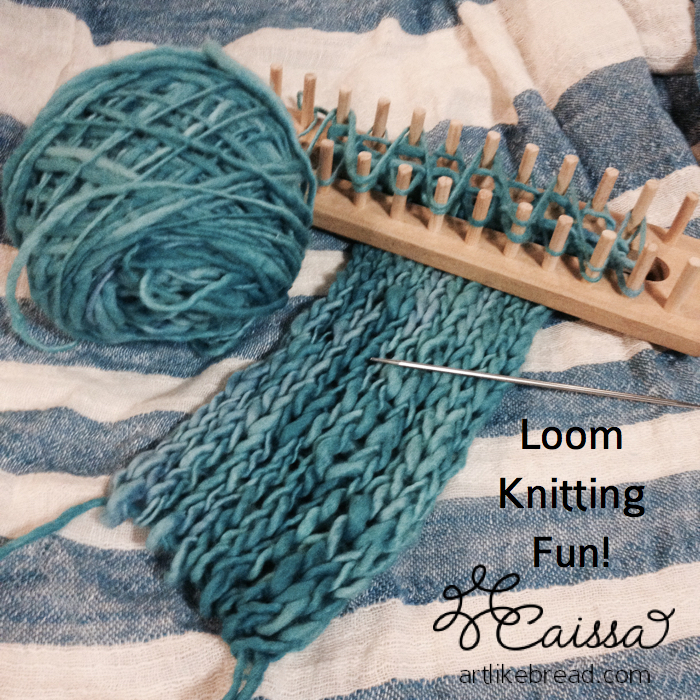 My latest endeavor is loom knitting! 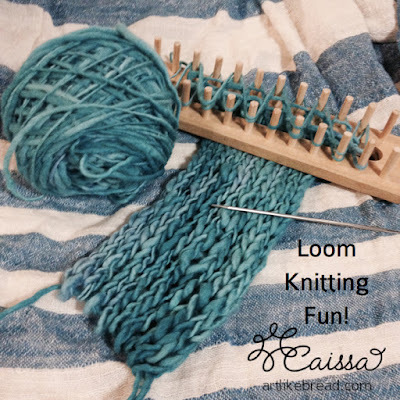 I am excited to be making this loom knit cowl because it's a use for my yarn stash and it's different. I am loving this exploration! The idea is, and the hope is to post a blog every single day in 2016. The purpose of this is firstly to improve my blogging skills - my consistency, and my writing skills. The ultimate goal is to provide my readers with more valuable posts that they will enjoy. It's a goal I've made and I've made some plans to help it along. I'm not sure what else will come up this year, but I'm going to give it a try and see how it goes. I love blogging and I truly appreciate your reading this. Having said that, I understand that if you receive this blog via email, you might be overwhelmed by daily emails. If not, please stay subscribed and enjoy! If so, I want you to know that you can still be apprised of my writings via my monthly newsletter. I hope you'll stick around & share this journey with me. What are you excited about trying this year?